HOME REDUCED $14000.00!!!!! Growing families will love this unique plan that combines all the essentials with an abundance of stylish touches. 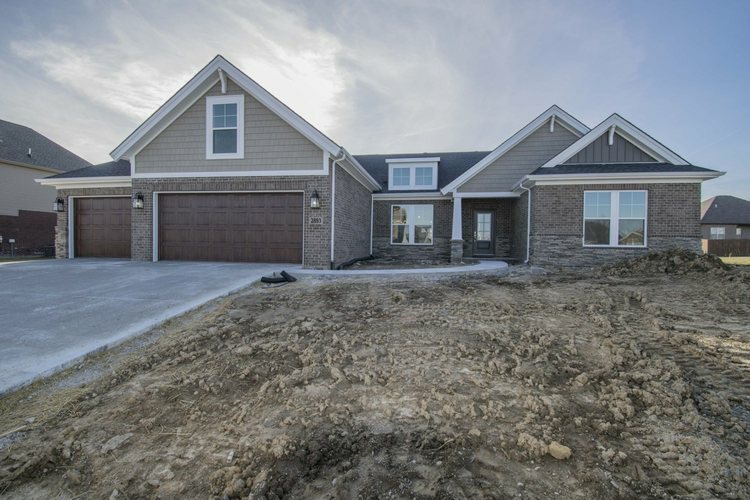 The detailed craftsman inspired elevation is enhanced with brick, stone, and shake accents working together to create a pleasing exterior. A large covered front porch with stone pier, tapered column and gorgeous dormer welcomes you home. Inside you will be greeted with a transitional living space, soaring 9’ ceilings, and large family room with fireplace, accented with classic subway tile. A deluxe kitchen with upgraded cabinets, large island, stainless steel appliances, stainless steel hood, beautiful open shelving and subway tile backsplash opens into the formal dining room and family room space. An oasis awaits you in the owners’ suite including spa bath and ceramic shower with a double bowl vanity and expansive walk-in closet. Additionally, this home includes a covered retreat directly off the kitchen, three additional bedrooms, laundry room, full bath, bonus room and a 3-car garage. You’ll love this Energy Smart home in Waterstone Village! Purchase a Stunning, New Ready to Move-In Jagoe Home, and GET these SALE - A -BRATION Incentives! Up to $2000 Closing Costs and up to $1000 to apply towards prepaids or rate buy-down. To qualify for these incentives, home must be purchased and closed by March 28, 2019 and buyer to use approved lender, FBC Mortgage. Directions:North on 261 past Castle High School. Right on Oak Grove, Left on Anderson Rd, Right into Waterstone Sub. Courtz is the last street on the right.